Korede and Ayoola are as close as sisters can be. Raised in a home with a violent and abusive father and a mother who failed to protect her daughters, Korede, the older sister, fulfills the role of Ayoola’s protector. Both sisters are adults when the story opens and their father is now dead. Ayoola is considered beautiful. A stunner and a charmer, she is able to attract any man easily, a valued ability in her Nigerian culture. Ayoola is selfish, superficial, and used to getting what she wants. Her mother dotes on her, often at Korede’s expense. Ayoola also has a habit of killing her boyfriends. Each time she kills, she calls Korede for help. Korede is the responsible and level-headed sister. Her beauty is not the obvious kind and she pales even further next to her sister. She has just been promoted to head nurse at the local hospital where she works. She is in love with a young doctor with whom she works closely named Tade. One day, her sister shows up unexpectedly at her work and meets Tade. He is immediately taken with Ayoola. Now, Korede must choose to protect him or her sister. Korede has a secret of her own besides her part in covering up Ayoola’s murders. 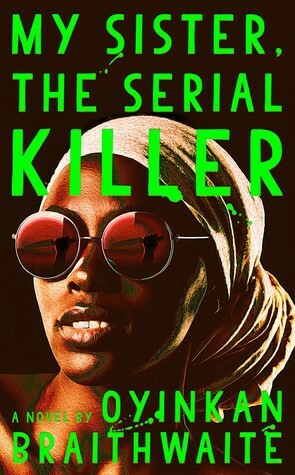 Overburdened with guilt, both Ayoola’s as well as her own, she has been confiding the details of the murders to a comatose patient in the hospital whom she has become fond of. When the man wakes up, he knows more than she ever believed possible. Told in a direct and approachable manner from Korede’s point of view, this story is about the unshakeable bonds of family strengthened by shared trauma. Over time, we learn why Korede feels that standing up for her sister is her only choice, no matter the risk or what it ultimately costs her.